Netflix prices are going up. The wildly popular streaming service is increasing the price on it plans as content costs continue to soar and competition from Disney and others intensifies. The company’s standard plan, which had cost US customers $11 per month, will now set you back $13 per month. 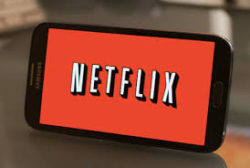 Its premium option, which doubles the number of screens you can watch Netflix programming on and allows for Ultra HD content, will now cost $16 per month, up from $14. Netflix’s basic plan is jumping from $8 per month to $9 per month. The Associated Press earlier reported on the move. The prices reflect the biggest single price hike since Netflix’s (NFLX, +6.67%)streaming service launched. It’s also the first price increase on the company’s basic plan. New customers are subject to them now and existing subscribers will see their prices go up over the next few months.